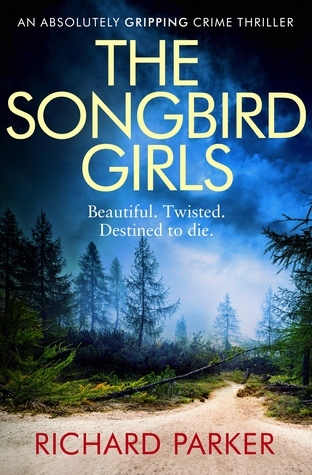 THE SONGBIRD GIRLS by RICHARD PARKER – Books, Books and More Books! Detective Tom Fabian’s name was splashed across all news media as he worked to find a serial killer who left one dead bird at each grisly crime scene. It wasn’t his idea for the press to be allowed to follow him around at the same time the killings began. It was one anonymous tip that led Fabian to the door of Christopher Wisher and his wife and child. That should have been the end of it. It was not. Wisher wants Fabian to have his journal. Summoned to the prison, Fabian takes the notebook and the next day Wisher is dead in his cell. Then the killings begin once more. The same manner including the dead bird, which was never released to the media. It doesn’t take him very long to figure out the cryptic writing in the notebook isn’t a journal, it’s a glimpse of what is going to happen in the future. Oh this was a good twisty tale! So many shady characters and such a good fast pace made this one I will read again! This does sound like one I would love. Wonderful review.